Spain coach Vicente del Bosque will give Diego Costa as long as he can before deciding on whether or not to include the injured Atletico Madrid striker in his World Cup squad. Costa is suffering from a hamstring tear that is set to sideline him for at least a fortnight and has cast serious doubts on whether he will be part of Spain's title defence in Brazil. "We don't know any more about Diego Costa than what was in the medical report. He has a muscular injury and we're monitoring his recovery; we will wait until the last minute before making our decision," Del Bosque told Spanish radio station Cadena SER. "The other day I said that I would like all the players to be in good condition by 2 June, but that doesn't mean that I cannot make an exception. "We're not doing this on a whim, we have until the second to give the list of 23 and we don't have to rush things. I hope he makes it, but we have good alternatives." "All of the national team squads are difficult to select. We will try to take the best decision for the country." 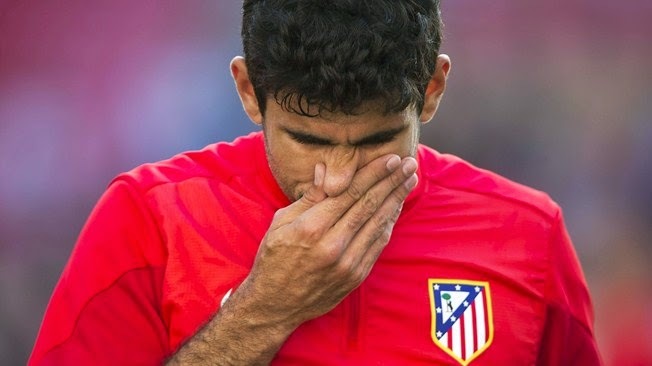 A fully-fit Costa would have been a certainty for the World Cup after a fantastic season with Atletico. Diego Costa scored 36 goals in all competitions to help Atletico win their first Primera Division title since 1996 and also reach the UEFA Champions League final.